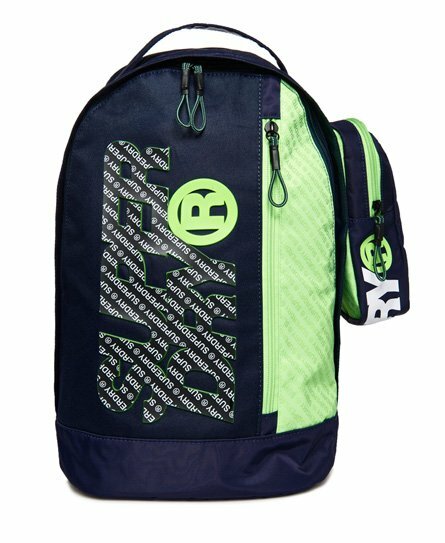 Superdry men's Zac Freshman rucksack. Perfect for any adventure, the Zac Freshman rucksack features a roomy main compartment, complete with laptop sleeve and smaller front compartment, perfect for your smaller essentials. Completed with a high build Superdry logo on the front and padded back and straps for ultimate comfort, the Zac Freshman rucksack also comes with a complimentary pencil case, featuring a zip fastening and Superdry logo detailing.